It will be soon that time of the year again, my very favourite season, the Holiday Season! Don’t you love all the things the Christmas and Holiday Season bring along with it? I love decorating my home, creating that warm and festive feeling, and I love my children’s reactions at all the decorations, the Christmas Tree, the lights. Even though most will be the same from last year, they still look at them in awe and surprise. Another thing I love about this season, is digging up by festive crochet creations, and looking into what new Christmas inspired items I can create! 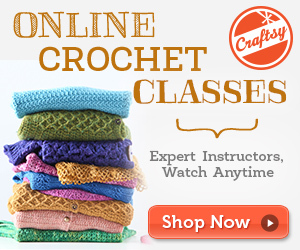 I was search for new free crochet patterns to help give me ideas for what I can create next, especially to add some new decorations to the tree and around the house. Add these pillows to your sofa and transform your living area into a comfortably festive place to relax with friends and family. These will work up quickly and then you tie them up with a crochet ribbon! Crochet a holder that will present your gift in a very special way! Our Santa Pants is sized to hold bottles of wine or glass candles with festive style and originality. Crochet a foodie favourite and decorate your tree deliciously! Our smiling hamburger is perfect for anyone who prefers a good juicy burger to a fancy meal! 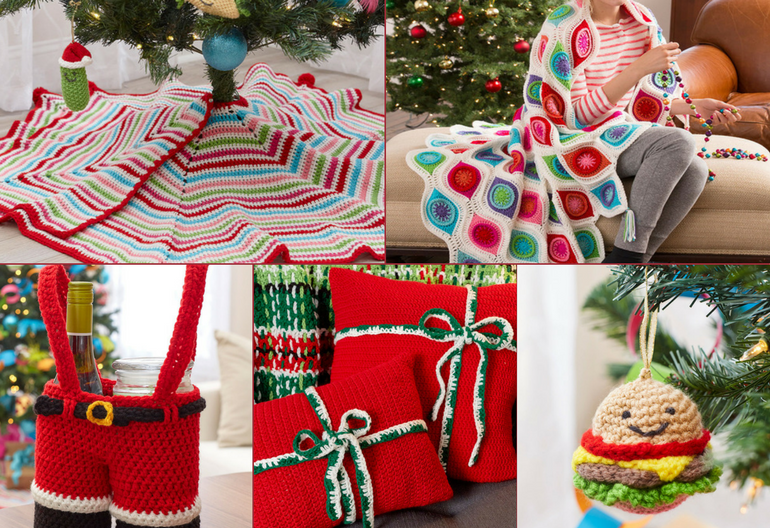 Crochet a tree skirt with stripes of your favourite holiday colours! We’ve used bright non-traditional hues that will make us happy during the merry season. Each point is finished off with a pompom. I think I’m going to get started with crocheting the Retro Ornament Throw… it is simply gorgeous! Which is your favourite pattern from the ones I’ve shared today? Let us know below! And also, remember that you can share the photos of your completed crochet projects with us on our Facebook page. See you there!